The Musee de l'Orangerie is a museum of modern art at the western end of the Jardin de Tuileries (the Louvre is at the other end of the gardens) and near the Place de la Concorde, on the right bank of the Seine in the heart of Paris. 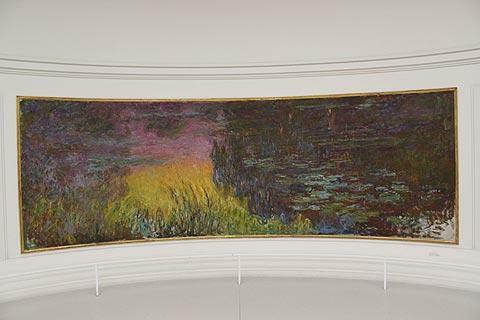 The museum is best known for its collection of eight important Water Lily paintings by Claude Monet, and also has an interesting collection of other modern works of art. Before you go into the museum take a moment to admire the building itself. This imposing building was built in 1853 - as an orangery, as you might have guessed from the name - and was used as winter protection for the orange trees in the Jardin de Tuileries. Although it is not the most interesting classical building in Paris it has an imposing classical facade with four columns and large glass windows all along one side. 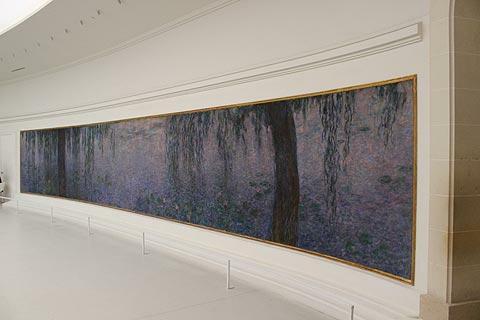 By the early 20th century the orangerie had become an art gallery and by 1927, shortly after Monet had died and left these paintings to the state, the Water Lily paintings were installed. 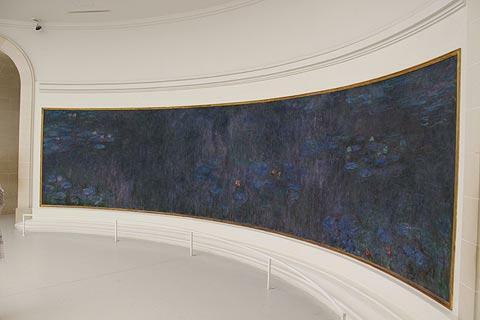 The main attraction is of course the Monet Water Lilies, and enthusiasts of the artist will not want to miss the exhibition. 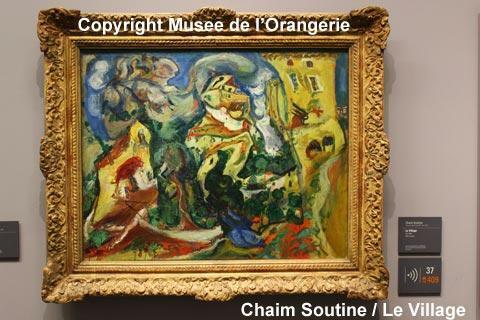 The paintings are on display in each of the two large rooms on the ground floor. Because the paintings are so large and because they are on curved walls it is quite an immersive experience to look at them - you can never quite see a whole painting at once! After enjoying the Monet's go down the stairs in the Musée de l'Orangerie to see the Jean Walter and Paul Guillame collection. 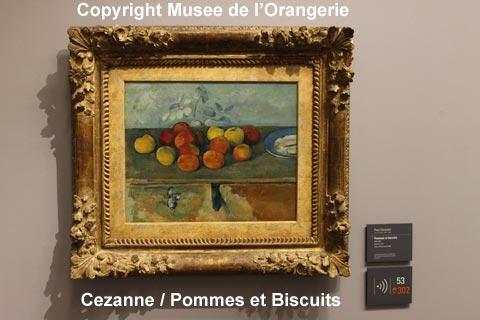 While it is true that the Musee d'Orsay and the Museum of Modern Art have more famous works of art from the first decades of the century this is still an interesting collection with paintings by Picasso, Renoir, Cezanne and Modigliani among others: there are a total of 145 paintings in the collection covering the period from the impressionists to the 1930's. 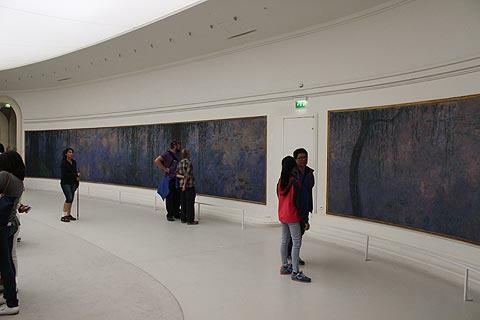 Personally I found the Monet paintings rather uninspiring, perhaps too large and bland and preferred the gallery downstairs but I suspect I am in the minority of visitors to the Musee de l'Orangerie to think that and as someone once said 'the paintings are not on trial'! 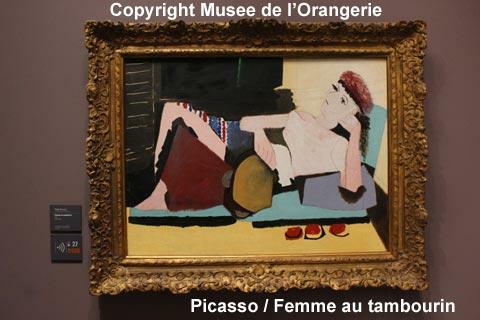 The Museum is open every day 9.00 - 18.00 (last admission 17.00) except Tuesday, May 1, July 14 and December 25. Full price admission around 9 euros. 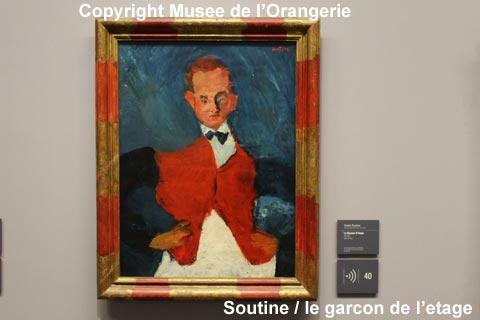 Note that when you visit the Musée d'Orsay, just across the river from here, you can buy a combined ticket that also allows access to the Musée de l'Orangerie at a reduced price: very useful because if you visit one you are likely to want to visit the other!